This is the second one of these I have found recently ..... this one a paler version! 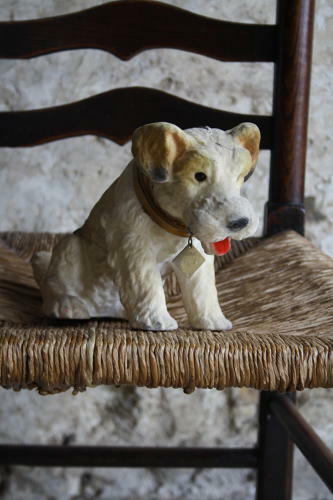 Genuine 1950s nodding dog with original tag. He works on a simple mechanism and once set nodding will continue to do so for quite a long time.